Sometimes I wonder why people use prepaid when post paid is so much convienient. I was once a prepaid user when I first got my cellphone (I guess most of you too cuz our parents want to control our usage) and it was so inconvenient to buy credit top-up! Imagine having to constantly look for a convenience store to get top-up or ask a friend to send some credit over, haha. I switched from a prepaid plan to postpaid plan not long after. From then, I'm forever a postpaid user. But of course, everyone has their own preference, some prefer using prepaid plan because they might not need all the features that a postpaid plan provides. But to be a smart consumer, I believe comparing the plans available in the market right now enables us to identify the benefits that each plan offers and the value of the price we’re paying for. I'm not sure if you're familiar with U Mobile plans, but if you are considering for telco brand, you can try to take U Mobile plans as into consideration. You might want to look at U Mobile's new postpaid plans as they has the cheapest plan as low as RM50, RM70 and RM28 /month! 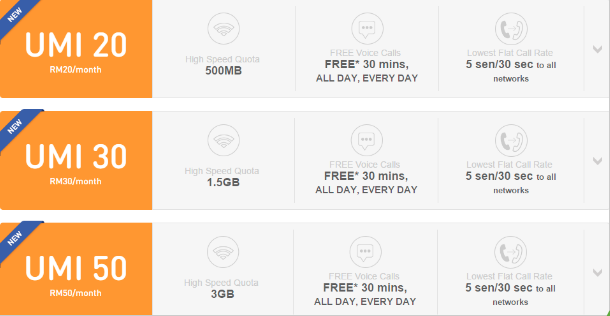 The U Mobile postpaid plans have a higher-speed Internet quota, lowest flat call rates to all networks, plus FREE calls daily! You'll also enjoy FREE Internet roaming across Asia and Australia, the ability to share minutes and data with up to 3 SIMs, and your unused call minutes will automatically be carried forward to next month! Talk about the reaping all the benefits in one plan. There is also the Unlimited Mobile Internet Plans available with U Mobile that caters to your everyday needs. I don’t know about you, but having data is important to me as I always surf on-the-go, so having unlimited mobile internet in one package? Sounds like a clever plan to me! With U Mobile’s #GetClever campaign, subscribers will get a host of benefits available for both prepaid and postpaid subscriptions including more internet, carry forward talktime, lowest flat call rate and free calls every day! Do make the right choice as don’t want to sign up for mobile plans that make you pay for what you don't need or pay extra when data is used up!